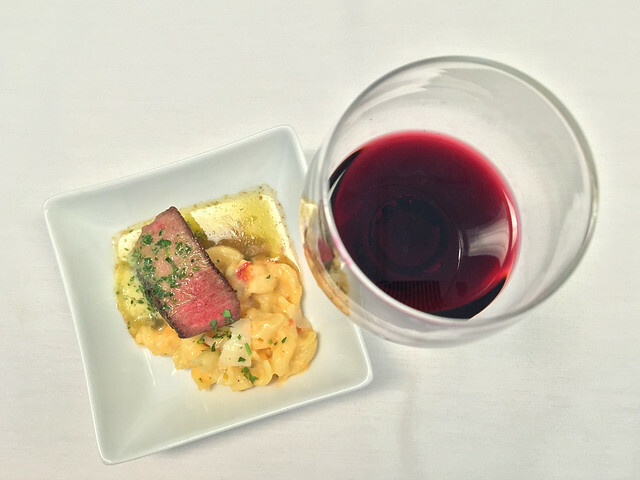 Last week American Airlines (AA) invited me to an exclusive menu tasting in Texas. 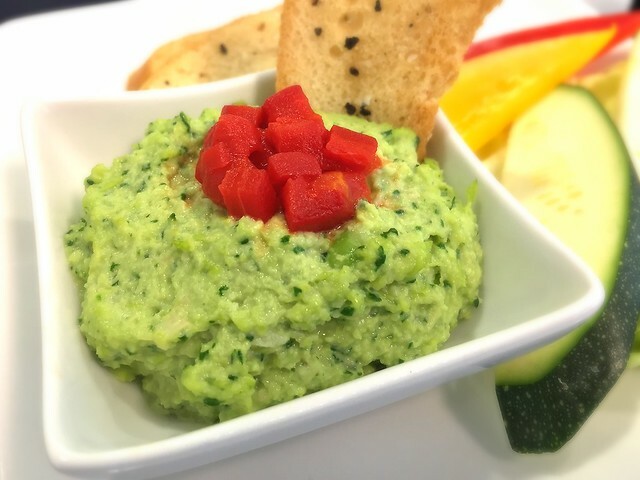 They have new, seasonal food and wine menus rolling out in July for selected Domestic and Transcontinental First Class Flights, as well as new snacks in their Flagship Lounges. 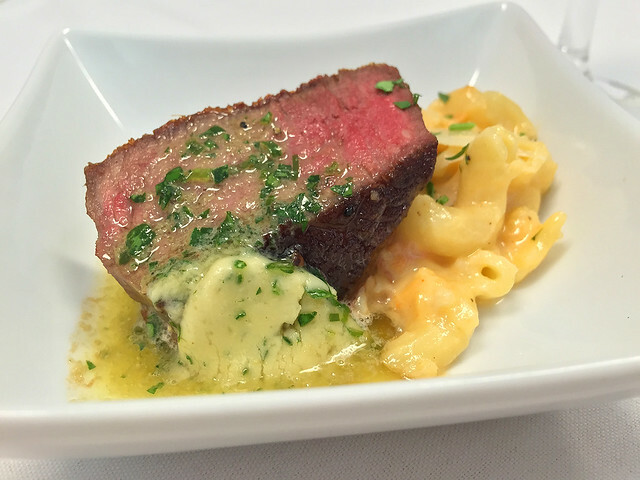 The event took place at LSG Sky Chefs in Irving which is near the Dallas/Fort Worth Airport (AA HQ). Along with media were several of the airlines most loyal frequent flyers, who were on hand to share their input. 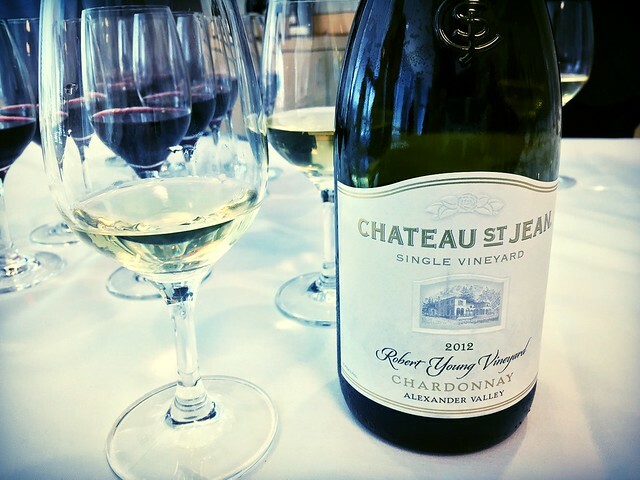 The fun kicked off with a round of champagne as we listened to airline executives talk about improvements for the AA passenger experience. I was surprised to see a familiar face as we began tasting food. 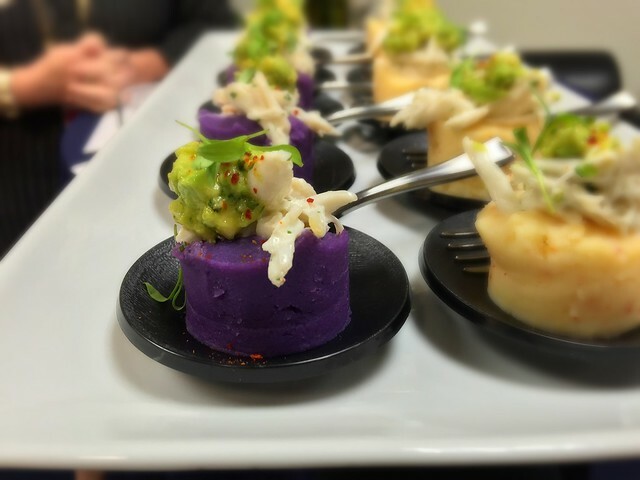 Celebrity Chef Sam Choy was there showcasing his new transcontinental menu, which included spicy crab, steamed sea bass and wagyu meatloaf (photos below). 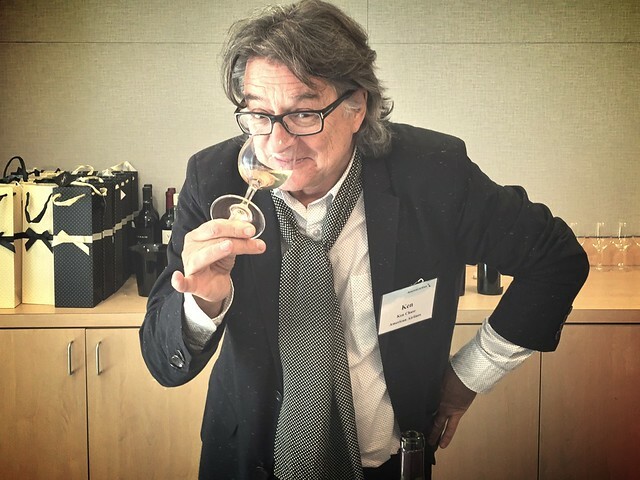 AA wine consultant Ken Chase entertained all with his spirited presentation, and noted how important it is for wines to compliment the regions where AA travels (Malbec in Argentina for example), and that it also exposes passengers to new wines as well. His pro tip: To stay hydrated while flying, drink three glasses of water per one glass of wine. I travel often, and when I visit my folks in Scotland I usually fly economy. American Airlines is a partner to British Airways, so at least one of my flights (either to or from London) are on AA. If I get the chance for an upgrade (it happens! ), it’ll be interesting to experience it all with a new point of view. 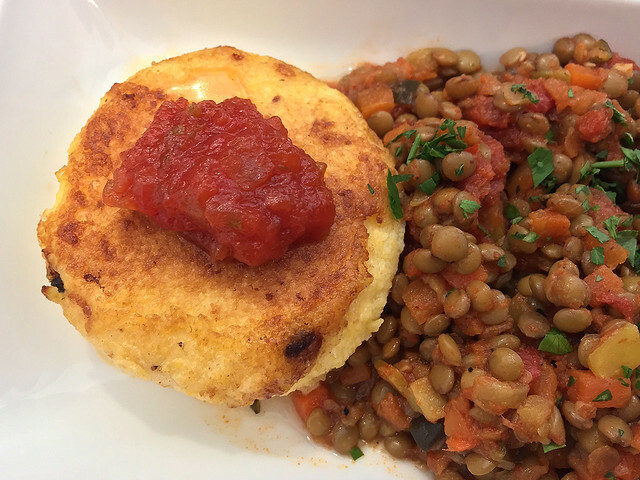 The majority of the dishes I tasted were fantastic and I’d happily order them in a restaurant. 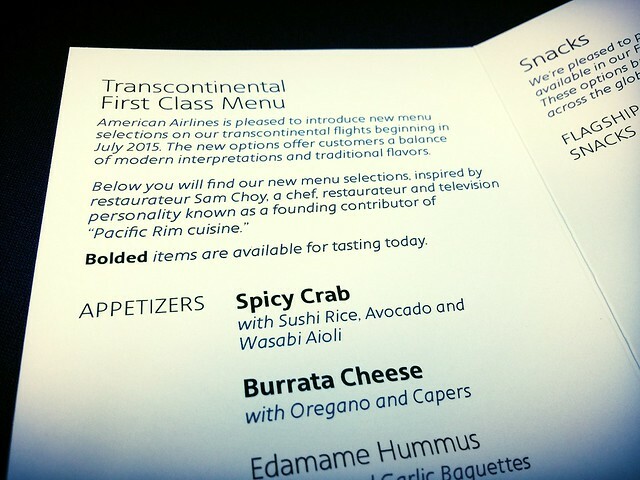 Only one seemed overly salty, which is normal (in food prep) when serving at 30,000 feet since “taste buds and sense of smell are the first thing to go”. I did mention it and was told they are still working on adjustments. 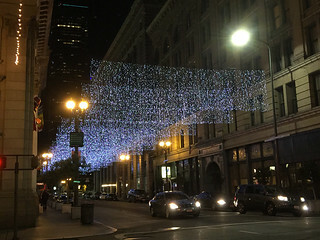 As the only L.A.-based writer invited, I was asked to simply share the experience on social media, which I did on twitter, instagram and facebook. The new American Airlines campaign is called #GoingForGreat, and my main takeaway from the afternoon was a truly sincere effort by the AA team. 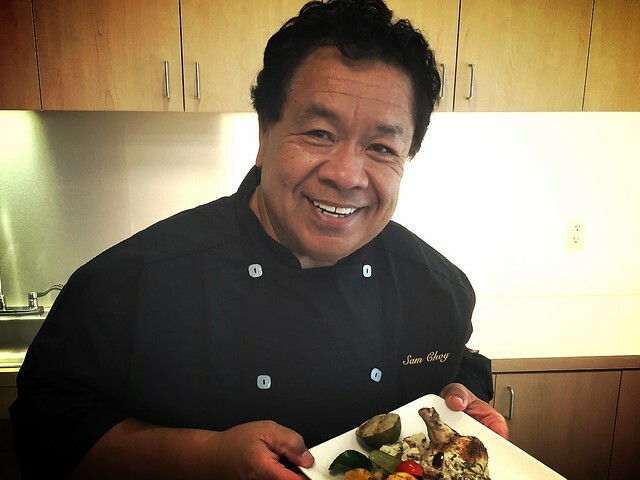 Chef Sam Choy! We totally bonded over our love for Okinawa (my birthplace). Thank you for having me American Airlines! Event date was June 22, 2015. All photos here. Round trip flights from Los Angeles to Dallas were provided by American Airlines. I met some really nice folks at the event, including Benet Wilson and Jeanne Hoffman. 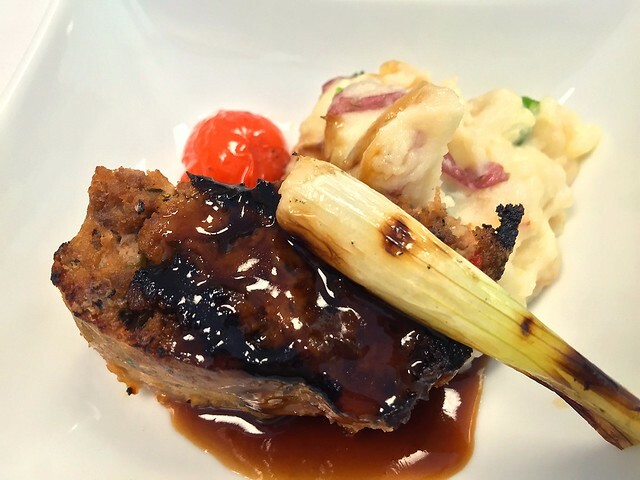 Read Benet’s recap of the event Airways News. Jeanne blogs at Le Chic Geek. 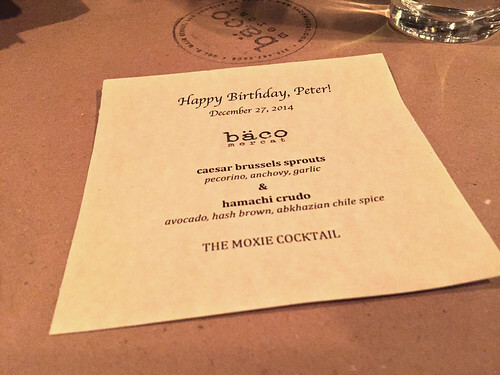 Peter and I both love chef Josef Centeno‘s cooking. 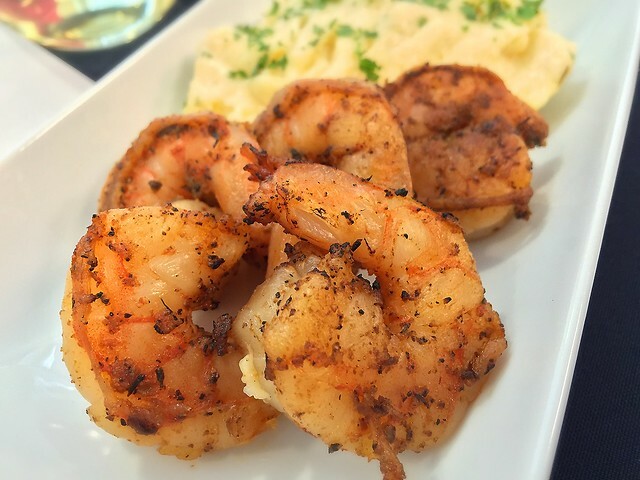 With four restaurants in downtown L.A., we often have a hard time deciding which one to eat at. There’s Baco Mercat (home of the bäco) and Bar Ama (with the best queso in town). 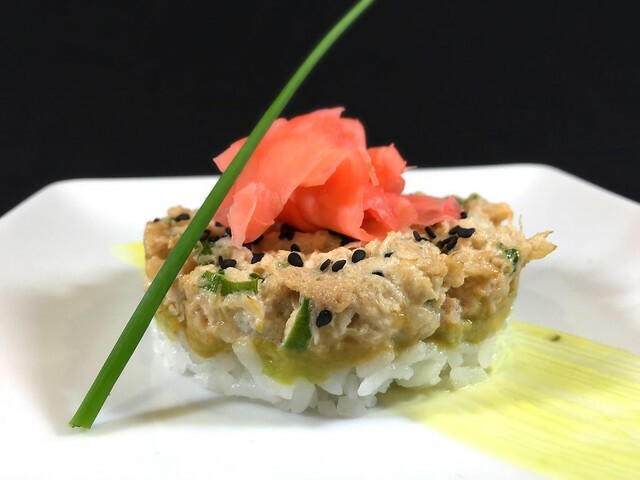 High-end Orsa & Winston is currently offering a fantastic Yakitori-Ya menu (through March 2). 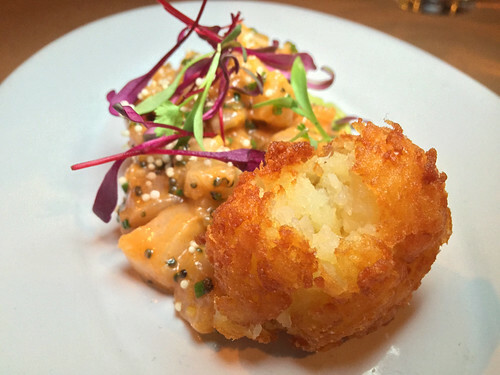 Josef’s newest eatery, Ledlow, recently won a rave Jonathan Gold review. 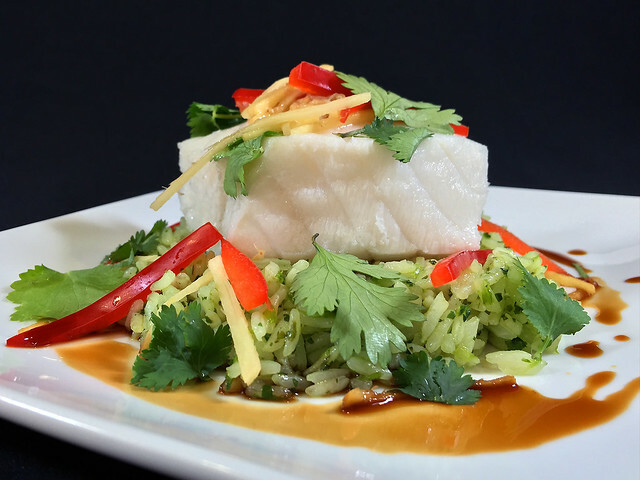 All the restaurants are within walking distance of each other at 4th and Main, and all are simply fantastic. After twenty years together, it’s not easy to surprise my husband of 18 years. But for his birthday last month, with the help of Josef and his fiancee (my friend) Betty Hallock, we did just that. 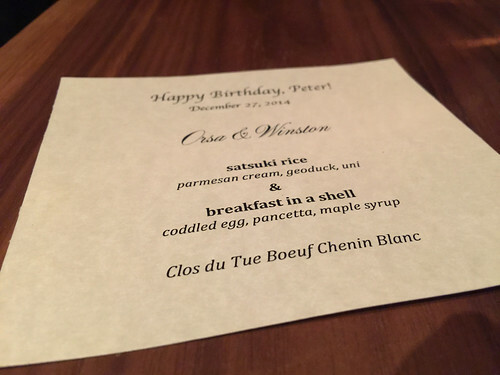 I joked to Betty that I wished I could take Peter to all of Josef’s restaurants for his birthday and she said they had actually been thinking of organizing a restaurant crawl. I was thrilled when Josef offered to select the evening’s menu, which included two dishes and a drink at each location. To make things easier, since it was four different kitchens and staff, I paid for the evening ahead of time and left a tip at each (45 minute) stop. Many thanks to Betty and Josef for helping me surprise Peter! Peter was shocked and so thrilled to find the first “Happy Birthday, Peter” menu waiting at our first stop, which was Baco Mercat. 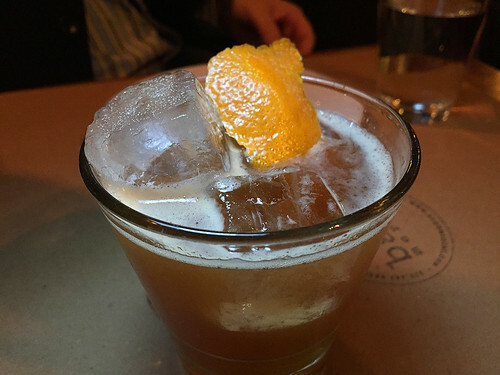 The Moxie Cocktail at Baco Mercat: Bourbon, cynar, lime juice, agave, mole bitters. 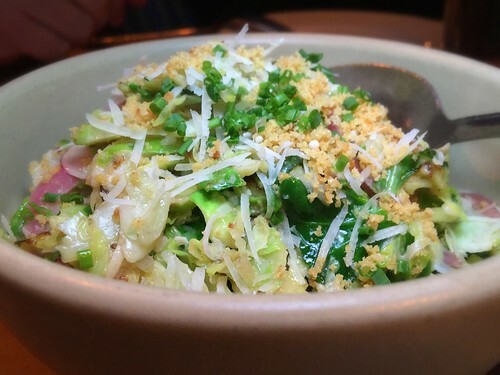 Caesar Brussels Sprouts with Pecorino, Anchovy, Garlic at Baco Mercat. Hamachi Crudo, Avocado, Hash Brown, Abkhazian Chile Spice at Baco Mercat. The menu waiting at Orsa & Winston. 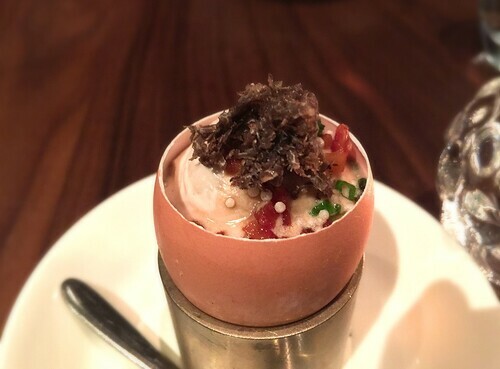 Breakfast In A Shell with Coddled Egg, Pancetta, maple syrup at Orsa and Winston. 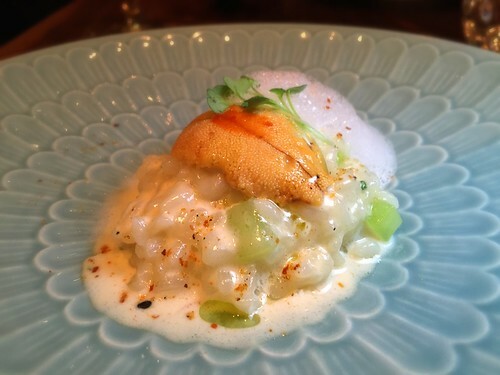 Satsuki Rice with Parmesan Cream, Geoduck and Uni at Orsa & Winston. 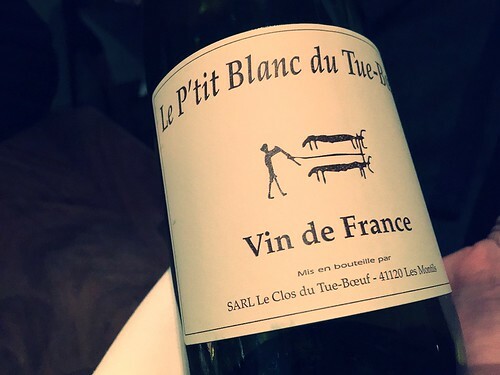 Clos du Tue Boeuf Chenin Blanc at Orsa & Winston. 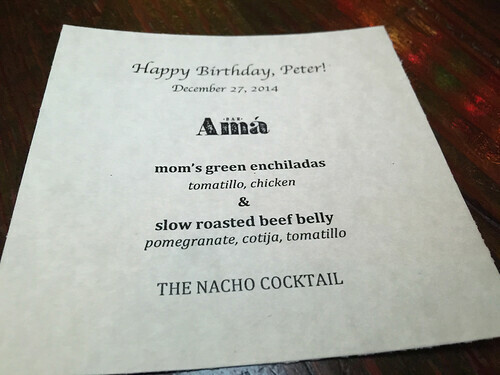 Peter’s birthday menu at Bar Ama (stop 3). 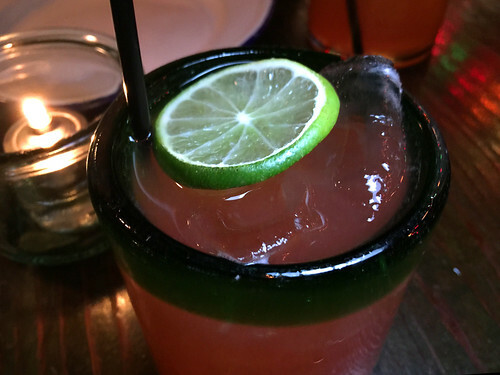 The Nacho Cocktail (tequila blanco, chile-lime shrub, campari, citrus, honey) at Bar Ama. 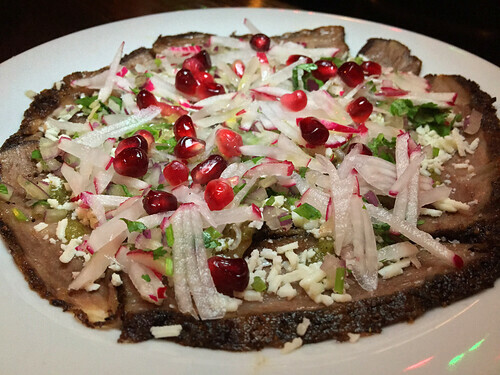 Slow Roasted Beef Belly with Pomegranate, Cotija and Tomatillo at Bar Ama. 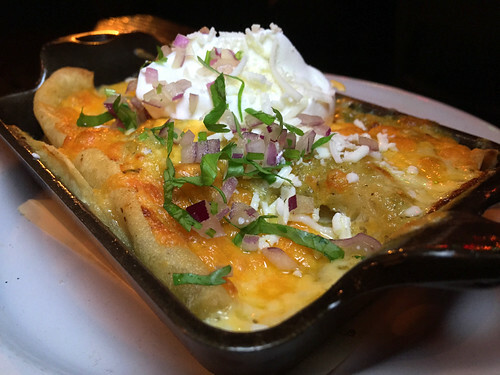 “Mom’s Green Enchiladas” with Tomatillo & Chicken at Bar Ama. 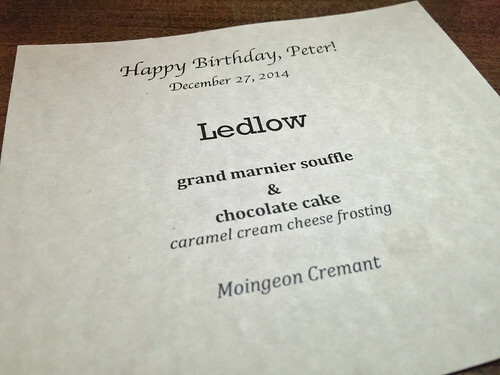 Final stop for birthday cake & soufflé at Ledlow. 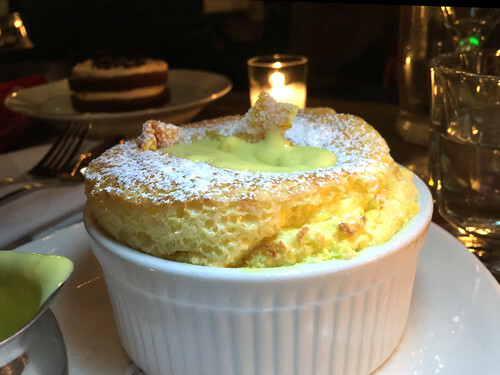 Grand Marnier Soufflé at Ledlow. 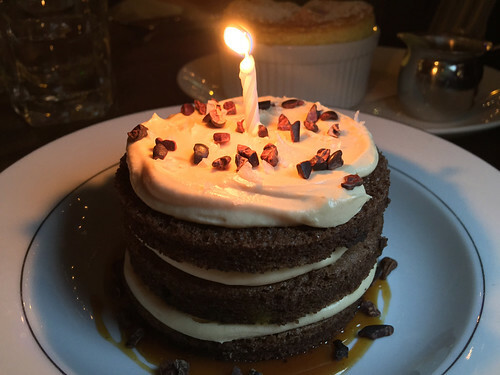 Pastry chef Margeaux Aragon made a birthday cake too! Chocolate Cake with Caramel Cream Cheese Frosting at Ledlow. 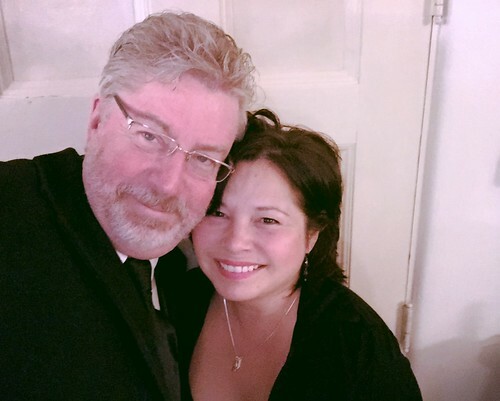 20 Years Together (we met in Nov 1994). Happiness Selfie (Dec 2014). 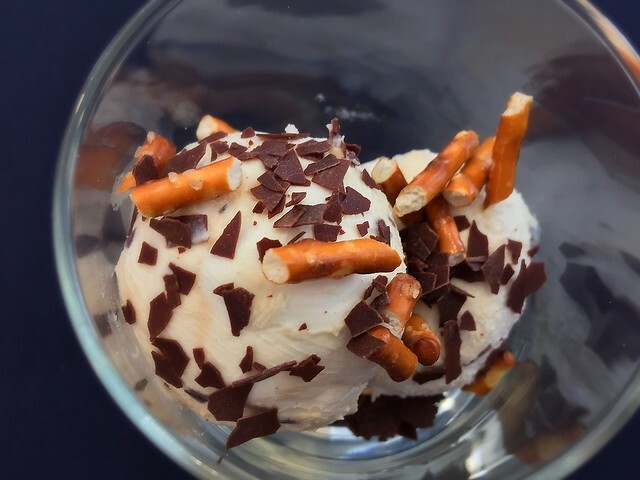 I photograph my EVERY last bite. I can’t stop thinking about this lobster paella by Perfect Rocher. It’s only available on Sundays at Smoke, Oil, Salt on Melrose in Hollywood. 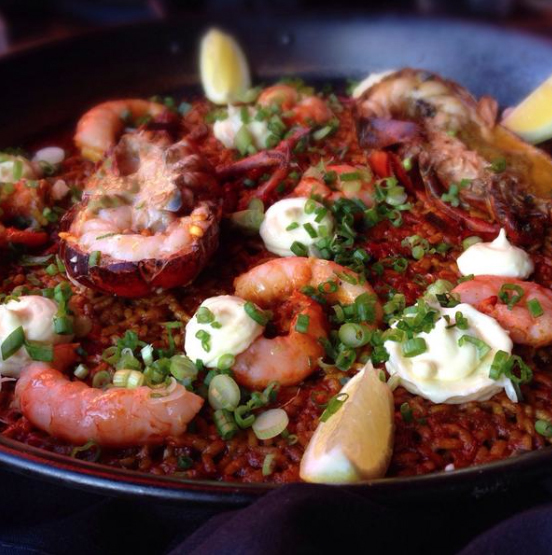 Read Jonathan Gold’s review here, and do go if you’ve never had authentic paella. It’s simply life-changing! Recent trips to Thailand, England and Scotland have kept me busy editing thousands of (mostly food) photos. Hopefully I’ll be back to regular blogging at the beginning of the year, but until then I’m still posting daily on Instagram and Pinterest. 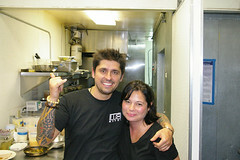 If you love watching chefs on TV as much as I do, check out “Ludo Bites America” on the Sundance Channel this Tuesday (7/19/11), as it stars my friends Ludo and Krissy Lefebvre! Last spring, when it was announced that Anthony Bourdain would be touring to promote his new book, I immediately hopped online and checked on ticket prices. 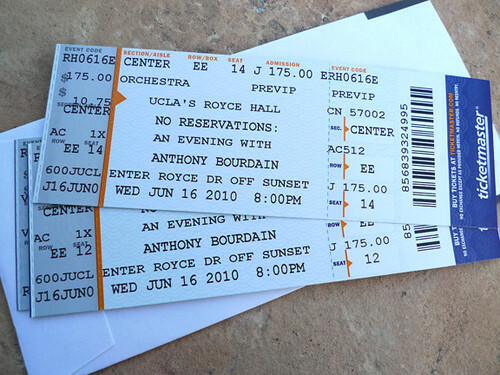 June 16th was the date he’d be gracing UCLA’s Royce Hall stage, reading from “Medium Raw”, his his most-recent tell-all memoir. At $175 each, the tickets were pricey BUT included a meet and greet after-party, with food provided by Wilshire Restaurant. 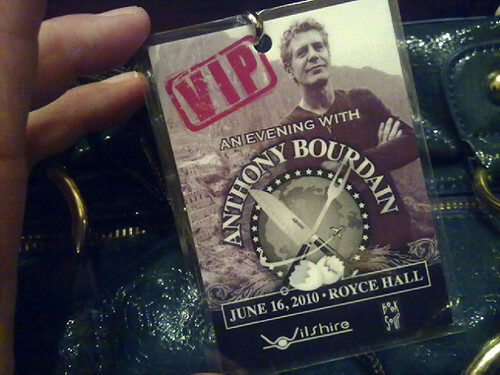 Meeting Bourdain had been one of my life-long dreams, although instead of a book tour, I’d rather it had taken place at some gritty bar in New York (or Tokyo). 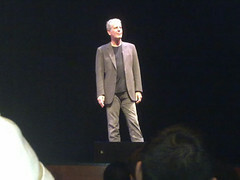 “No Reservations” (his show on the Travel Channel) is my absolute favorite, and I’ve been a fan since his “Cook’s Tour” show aired on the Food Network. So was $175 ticket worth it? I look so calm… but my heart was racing, I was sweating and shaking!! So, how does one spend an extra few seconds with Tony? By purchasing EXTRA books of course! During the V.I.P. 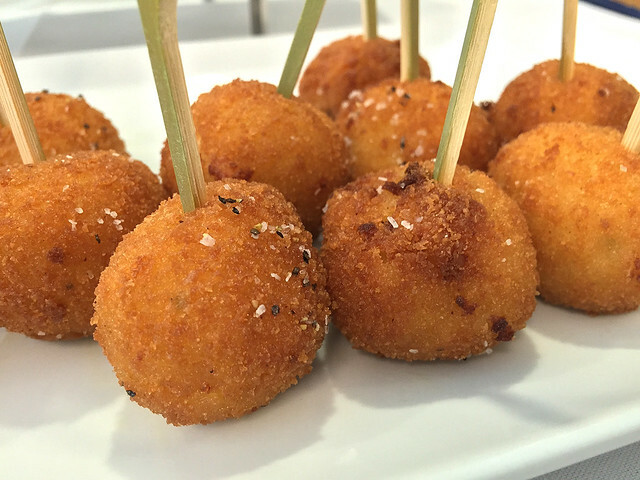 post party we munched on Chef Andrew Kirschner’s treats from Wilshire Restaurant. Top Photo: Hamachi Crudo. 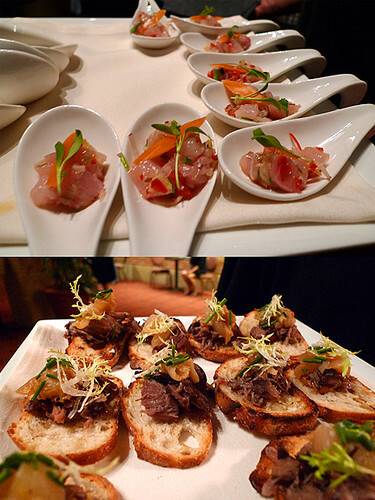 Bottom Photo: Braised Pork Cheek Crostini with Bacon Tomato Jam and Cipollini Marmalade. Um yea… I slept with it. 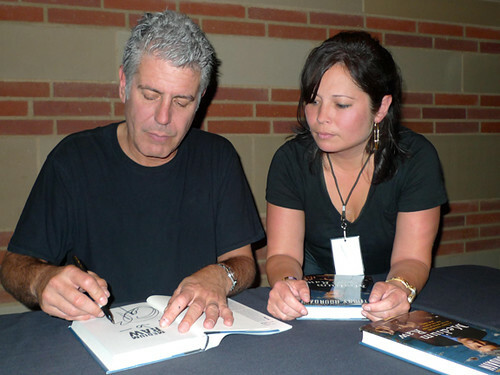 “Kitchen Confidential”, Bourdain’s MUST-READ for food lovers!